While the temperature may be rising in June, this is not usually the case for share prices. Generally, the market in June is even weaker than it is in May – making this a rather dismal period of the year for investors. 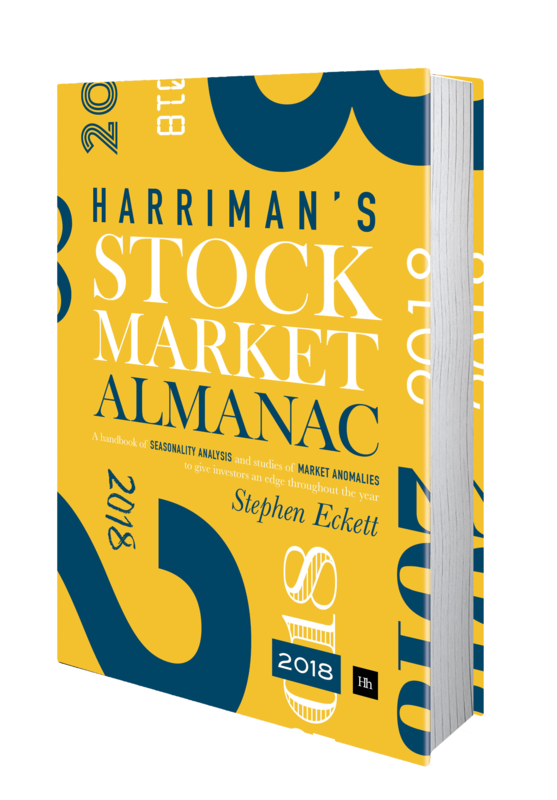 On average the market has fallen 0.9% in June; and the probability of a positive return in the month is a lowly 39% – which ranks it 11th of all months in the year. Since year 2000 the situation has been even worse: the average return in the month has been -1.7%; the market has only risen one June in the past eight years. And, as can be seen in the accompanying chart, the market falls in June can be quite large; the market has fallen over 3% in June in eight years since 1982. Despite the general market weakness, June has been good for the shares of Synergy Health and Ted Baker – the two strongest FTSE 350 stocks over the last ten years in this month. 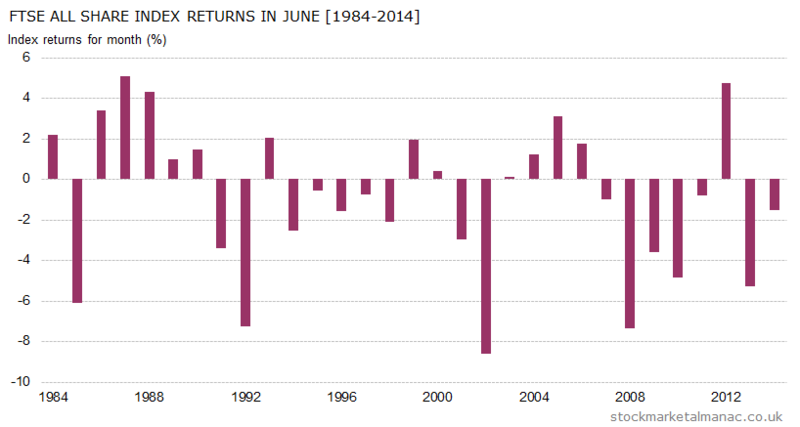 In fact, Synergy Health has had positive returns for June every year for the past ten. By contrast, the five weakest stocks in June have been: Barclays, Travis Perkins, Bodycote, Schroders and Morrison Supermarkets – all of which have fallen in June in nine of the past ten years. An equally-weighted portfolio of the two strong stocks would have out-performed an equally-weighted portfolio of the five weak stocks by an average of 12.4 percentage points each June. At the sector level, three sectors have been historically strong this month: Beverages, Oil & Gas Producers and Pharmaceuticals & Biotechnology; while there have been no sectors that have been consistently weak. June is the quietest month for results from FTSE 100 companies – just two companies making announcements this month. So an easy month for analysts! This is quite a busy month on the economics front: there is the MPC interest rate announcement on the 4th, the US Nonfarm payroll report on the 5th, and the two-day FOMC meeting starts on the 16th. Triple Witching is on the 19th. Finally, note that the FTSE 100 quarterly index review announcement will be made on the 4th. At the time of writing the stock most likely to be ejected from the FTSE 100 Index is Sports Direct International, to be replaced by Inmarsat. Further articles on the market in June. This entry was posted in June, Market, News and tagged month review by Almanacist. Bookmark the permalink.